If you’re searching for a different type of challenge and like rowing, the World Rowing Indoor Championships may be for you. Coming to Alexandria, VA February 17-18, this competition requires no previous qualifiers for competitors to enter. As in previous years’ competitions, this event is expecting 2000 athletes to compete over the two days. Test your speed in the 500m, 1000m, or 2000m events, or show your endurance in the 20 minute or 30 minute rows. If you’re really crazy, go for the marathon row, at 42,195 meters! The event has numerous masters, adult, and junior divisions and even divisions for kids 5-12. Entry is $25 for the kids divisions and $35 for adult competitors. Registration closes 1/31. Even if you’re not interested in competing in this event, it may still offer something for you. At the end of the two-day competition, they sell off all the rowers. The rowers are purchased new for each competition, and for just $800, you get a lightly used Concept 2 rower that was only used for this competition. The full manufacturer's warranty transfers with the unit. A $50 deposit counts toward your purchase with the balance being due on pickup on 02/18. Reserve yours early as they sell out every year. They also have a raffle where $10 gets you 2 chances to win a rower. You do not need to be present to win and two rowers will be raffled off. 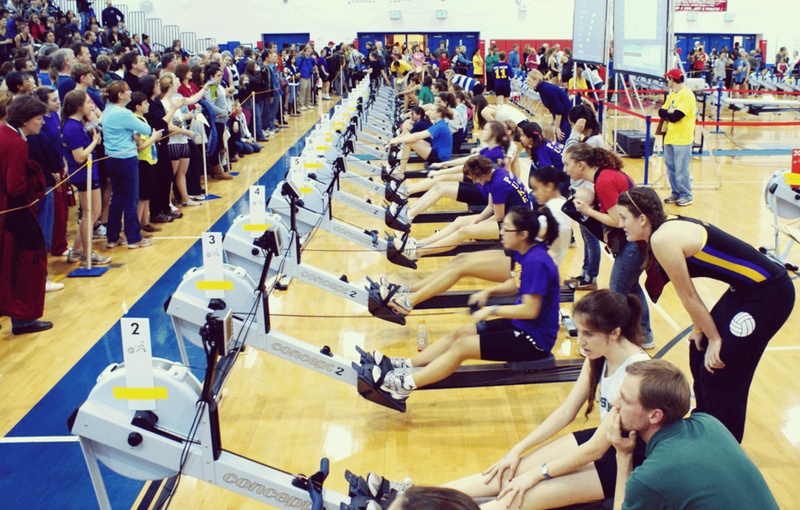 For more information on the competition, raffle, or rower sale, go to http://www.ergsprints.com. If you need a reminder about proper rowing form, check out this video.